There are shadows over this gig, just as there are over the country. The shadow of the EU referendum. The shadow of the poisonous mood the referendum has unleashed within the country. Most of all, there is the shadow of the murder of Jo Cox. The night begins with a minute’s silence in memory of the MP who was killed just a few miles away, just the previous day. It’s unfortunate that the bar staff appear to be unable to hear the request for silence and continue serving, but the audience observes it scrupulously and demonstrate their appreciation with applause afterwards. The Live Room in Saltaire is a wonderful space, with its tiny. 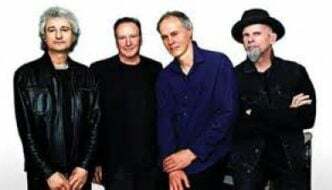 Intimate stage and a crowd that is warm, knowledgeable and composed of all ages: our neighbour says he’s been a fan since the 80s, while encore requests for the song Cardiff Bay come from 17 and 19 year old brothers. 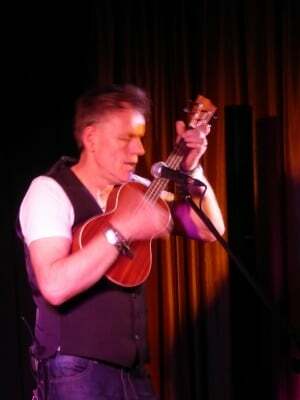 Martyn Joseph is a musician who is not afraid to wear his heart on his sleeve. The two sets he plays tonight, particularly the scorching second half, are full of passion, commitment and heart from the man who has been dubbed the Welsh Springsteen. If such comparison inevitably short-change both parties, there’s clearly an element of truth, too. Joseph explains how his album of Springsteen cover versions came about, before launching into his version of If I Should Fall Behind from the Boss’s Lucky Town album. Joseph’s performances of his own songs also tend to morph briefly into other songs before getting back on track, and one of them becomes Dancing In The Dark for a few bars. Neil Diamond’s I’m a Believer, most famously associated with The Monkees, also surfaces a couple of times. If the latter appears a little incongruous musically, its title is entirely appropriate. Joseph is a believer – a believer in decency, solidarity, socialist principles. He is a believer in hope. 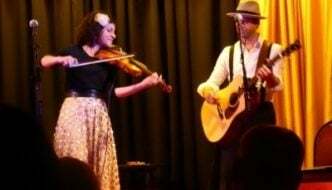 Intensely personal songs, such as Her Name Is Rose – written for his mother’s 80th birthday and not initially intended for public performance – alternate with political songs of equal intensity, like Nye – Song for the NHS, in which he adapts the lyrics to pay tribute to Jo Cox. Joseph pitches the mood perfectly for an audience that desperately needs to hear a message of hope. His craggy, empathetic presence and his consistent grace and positivity that “we will win” provide just this. In interviews, Joseph has gone as far as to suggest that he can’t decide whether he is primarily a musician or an activist. Unlike others who might have made such an assertion, his involvement with charity has culminated in setting up his own, the ‘Let Yourself’ Trust. He closes the first half of the set with a description of the grassroots work that this trust has carried out to improve the lives of communities worldwide. He also sings a song that arose from the project and that is, for me, the most moving moment of an emotional evening, recounting how a Palestinian father told him that he carried on because he didn’t have “the luxury of despair”. However desperate things feel in these times, none of us have that luxury. 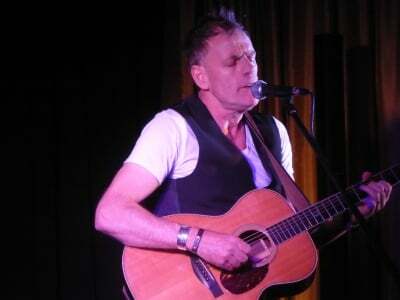 Martyn Joseph is touring the UK during June and July. 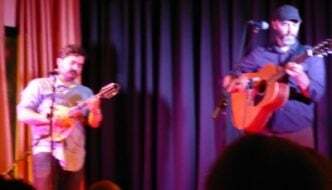 For more about him, including tour dates, see http://www.martynjoseph.net/. For details of the Let Yourself Trust, go to http://letyourself.net/. For information about the Live Room and their upcoming shows, see http://www.theliveroom.info/.